Beat This Caption Contest 24 Winner – Caption Contest Funny Clever Witty Enter Today! So much for Baby New Year…! 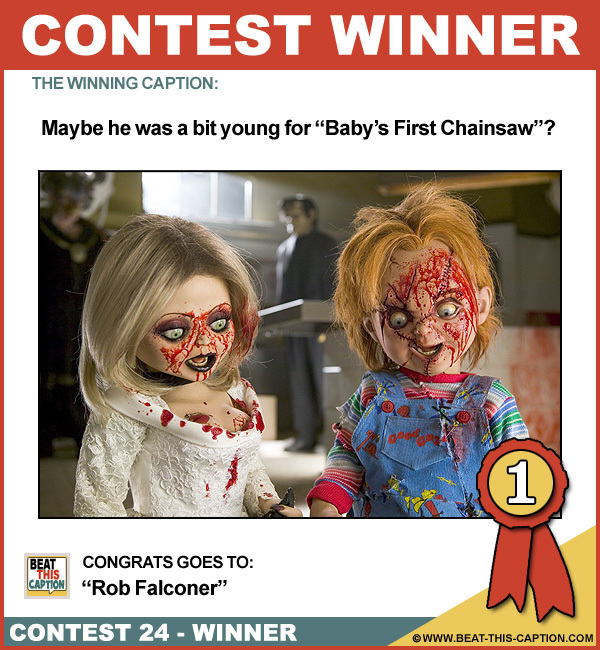 Maybe he was a bit young for “Baby’s First Chainsaw”? Whoops! I dropped my tampon! I told you not to push the leftovers in the disposal by hand! Oh wow. So they really do evacuate their bowels afterwards. I’ll be damned! Boy!…this is the greatest ‘Operation’ game ever!